I read the paper and the star would have been roughly in the direction of the Big Dipper at closest approach. I wonder if it flared how bright it would have been. I recall the 1054 AD supernova in Taurus responsible for the Crab Nebula was spotted as a probable source of some paintings in the American South west and perhaps others. Alas the oldest paintings in Europe are 39k years old. We’re talking the Middle Paleolithic – https://en.wikipedia.org/wiki/Middle_Paleolithic – a long time ago! unless the red dwarf was spewing CME’s looking like dragons in the sky. Even at closest approach, I doubt Scholz’s star was ever visible to the naked eye as red dwarf flare stars are normally younger and flare more in the x-ray and ultraviolet ranges. Novas and Supernovas are a whole different beast. Great thread. Yes, I’ve seen some of the cliff art in the SW with stars that might be from 1054AD – very cool. Incredible Am. Indian establishments. There is some possibility it did flare from about 10 or 11 mag to visible but it would have been brief and just at the edge of visibility. Big Dipper – interesting, northern hemisphere. Unless it stood out like a sore thumb, “humans” of 70K yrs ago, would not have noticed among the unpolluted sky of their time. HIP 85605 (probably 200 ly from the Sun) is in Hercules. Scholz’s star (WISE J072003.20-084651.2) is located in Monoceros. They are not the same star. Was looking for a better id than the WISE number, since many stars have quite a few designations….wish we could read the articles. Can’t stand paywalls. Still, it’s funny the two sides of the same thing, coming and going, although this article had much better graphics. The distance to HIP 85605 was probably underestimated by a factor of ten due to it being an optical double that is particularly problematic in the Hipparcos data reduction. I know this is a small star, but how large is its oort cloud. Every one goes on about a star passing through our oort cloud and disturbing comets etc. But what about the other stars oort cloud comets passing directly through the inner solar system? Stars travelling against the grain of galactic rotation don’t tend to have much/anything following them as these things get stripped away by the other systems they pass through. Considering the size of this one and our position in the galaxy it likely has no satellites. Also, in the hypothetical case it did have an Oort Cloud, they’re relative to the star’s size which means its cloud would only have extended in about as far as Neptune. Great question by Moozoo. 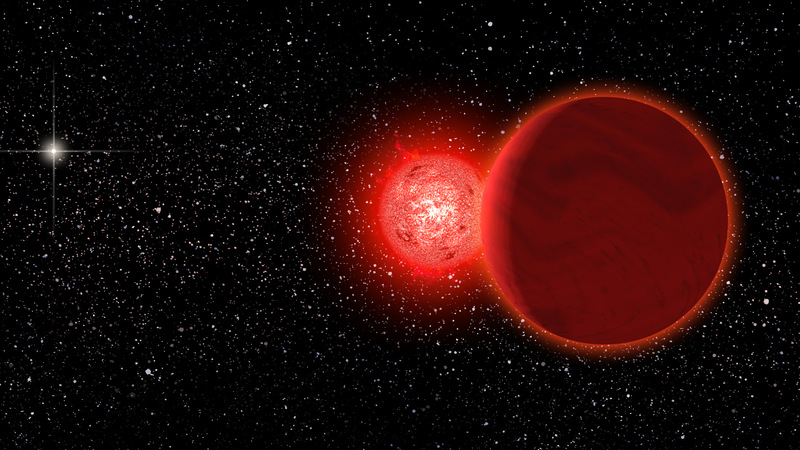 The system was able to retain the brown dwarf albeit it has much more gravitational hold. 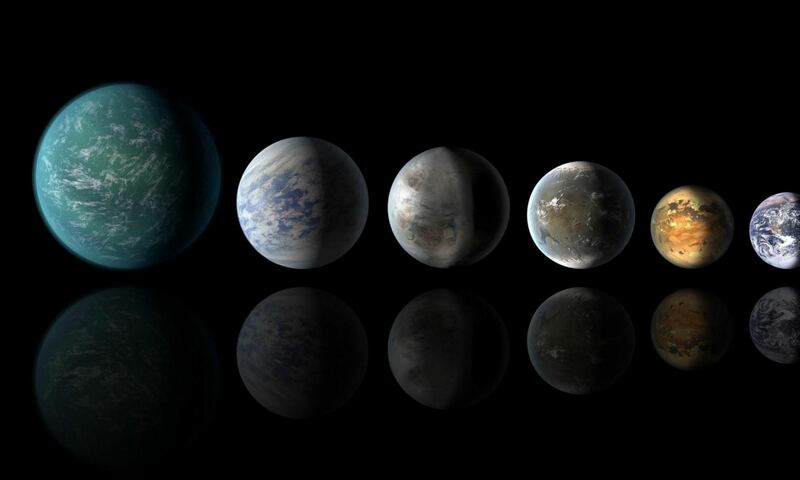 But I would be surprised if Scholz’s system had no other planets. Whats the distance between the red and brown dwarf? Kuiper or Oort Cloud – yeah, don’t know if it could retain it in this binary system; bigger problem than passing around the galaxy just like our system does. OK, checked my facts and we’re even safer than I assumed. Our sun Sol’s distance to Kuiper is ~30-50 AU and it’s distance to Oort cloud is ~70,000-100,000. Given the mass of this star, even including its brown dwarf in the plan, if it even has an Oort cloud then it’s Oort cloud (based on gravitational strength) is only in the region of 10,000-20,000 AU, easily 80,000 AU short of affecting any part of the inner system. i have never heard that before. do you have a source? Stars passing against the grain of the galaxy must interact frequently with other stars. If they’re large stars going against the grain their interaction is more likely to strip planets from other stars, or even collect the stars themselves, adding a lot of negative momentum to their trajectories. This causes them to slow down and ultimately fall inward towards the centre of the galaxy. Depending on a number of factors these stars could then become hypervelocity intergalactic travellers (taking some planets with them), but this is not the case for this star. For smaller stars flying around the reverse is the case. If the pass through the ‘inner system’ of another star they have comparatively less gravity to hold onto their planets, meaning that their satellites will develop wildly perturbed orbits. They’ll disrupt the orbits of things in the system they pass through but they’re likelihood of stealing anything is quite slim. Meanwhile, the more perturbed the orbits of their planets and other satellites become the more susceptible they are to being diverted by other gravitational influences (especially towards the aphelion of their orbits). The summary of this is that big stars going against the grain don’t keep doing so for very long, small ones end up shedding dead weight to maintain their helter-skelter momentum while sailing through the gravitational gaps. Typo it’s even better, 0.25 pc, just over 50000 AU. danikamom it’s a different star, which passed even close, 8000 AU, three to five hundred thousand years ago. The gravity of the Moon was 2 QUADRILLION times stronger than that of the Scholz’s star system at its closest point to Earth. One light-year away is still very far. The Oort cloud easily extends to 70,000+ AU from the Sun. And as objects are perturbed outward, they can be perturbed back inwards by other passing objects and galactic tides. The lower density transit edges of the Oort Cloud could easily extend 120,000+ AU from the Sun as it can take millions of years from an object to leave the vicinity of the Sun. The Sun has been swamping Oort cloud material with other stars for billions of years. The word you’re looking for is “rife”, not “ripe”. That would upset the creationists, they still think that Earth is only 6,000 years old. Also it would mean we live now in the year 70,2015. Star of Bethlehem was not 70,000 years ago. Passed within 8/10ths of a light year of our solar system. That’s only about ~4.702 trillion miles away! A close shave in astronomical terms? I wonder if the two systems exchanged cometary bodies? Some comets no doubt have some very odd constituents, I wonder if we’ll ever be able to extract evidence of such an exchange of icy bodies from those spectra? JWST? Depending on how you define the outer edge of the Oort cloud, you can reasonably claim that a star is expected to pass through the Oort Cloud every 100,000 years or so. But an approach as close or closer than Scholz’s star is expected to occur about every 9 million years. At 52,000AU from the Sun, the solar escape velocity is only 0.185 km/second. 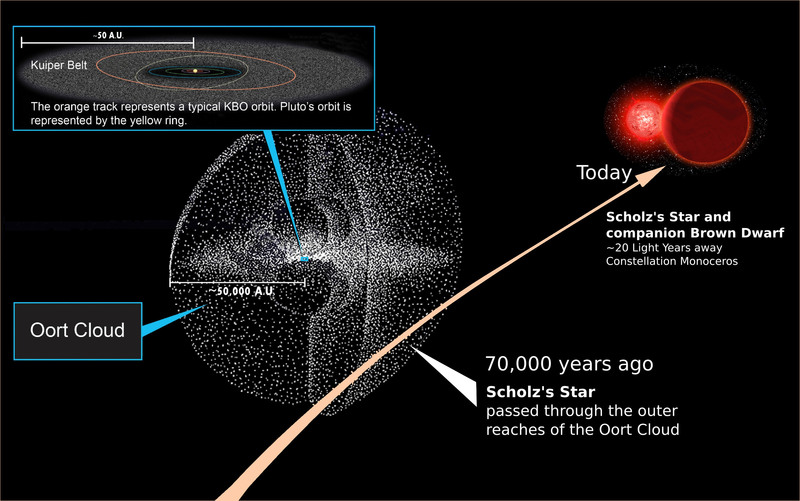 Scholz’s star passed the Sun going 83km/second, so the Sun would not have captured objects from the Oort cloud of Scholz’s star. I would expect it to capture them. No, because the gravity of a small star like that means that the size of its Oort cloud is too small without it passing much more closely to us. See one of my earlier responses in the discussion on your other post. Actually I think the effects of a pair of small stars going through the oort cloud would pretty much be non existent. The oort cloud has a very low density. The volume of a 50000 AU sphere is 5.236 E+14. Assuming 1 trillion objects (1 E+12), there is on average one object per 524 Cubic AU’s. i.e. one object inside a 8x8x8 AU cube. Gravity is a very weak force. Combine that with the high speed of the stars and the effect of passing within a AU of an object will be nothing. Thank goodness that O,B,A,F,G,K type stars are not as common as M. Its because they are not that we exist today. Its quite possible that a larger star did influence the Oort Cloud 65 million years ago which led to one comet colliding with Earth and causing the transition from reptiles (dinosaurs) to mammals. If we lived in the inner third of the Milky Way, if the Gamma Rays didn’t get us (see http://tinyurl.com/q7kkb4e – U.T. A Space & Time Zone for Complex Life [shameless plug]) , then frequent cataclysmic impacts would have (too many evolutionary resets). I don’t believe in coincidences. Perhaps, this star stripped massive amounts of comets and other bodies away from our solar system that would have otherwise destroyed early mankind. In all the billions of years that Earth has existed only in the last thousands of years do we record our own history. We are lucky to be here; Just look for someone else. A little perspective … this is equivalent to two basketballs passing one another at a distance of about 35 miles. Where do you get this figure? I’m confused, because the paper seems to say there’s a 98% chance that the objects passed within 120,000 AU, and 50,000 does not equal 120,000, even in astronomy. Adrian makes a valid point. Simulations suggest that the probability that the star penetrated the outer Oort Cloud (which extends to ~120 kAU) is 98%. Using 1-sigma uncertainties, Scholz’s star passed about 38,000–75,000 astronomical units (0.18–0.36 parsecs; 0.60–1.19 light-years) from the Sun 60,000-85,000 years ago. “52,000AU @ 70,000 years” is simply the nominal (best-fit) solution. I am not sure it helps the layperson to discuss 1-sigma and 3-sigma solutions. Previous PostPrevious How do Gas and Stars Build a Galaxy?